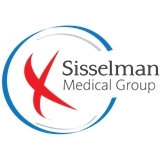 Sisselman Medical Group (Massapequa) - Book Appointment Online! Dr. Stephen Sisselman is Board Certified in Internal Medicine, and Dr. Jill Sisselman is Board Certified in Family Medicine. They care for patients ages 12 and up, and their care encompasses Adolescents and Women's Health as well. They provide the latest technology and compassionate care. Extremely professional, very friendly and attentive. Offered answers to all concerns. From reception to end of appointment was a pleasant experience.